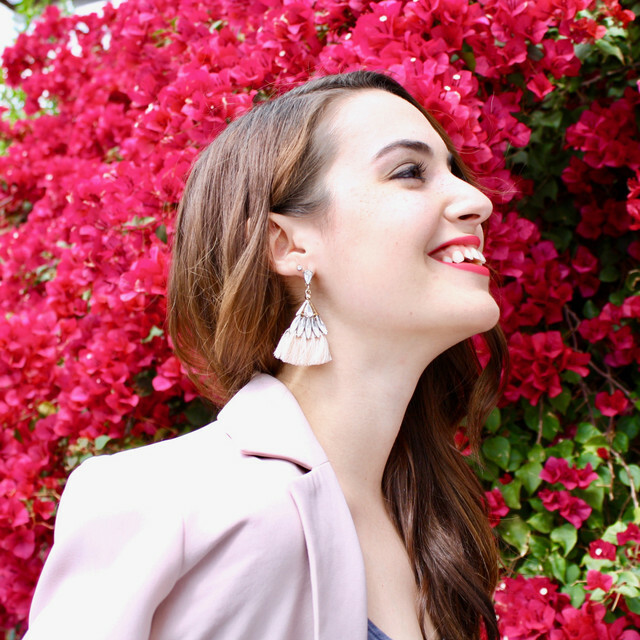 Most of my favorite fashion trends as of late have stemmed from the Rachel Zoe Project this season, and this is no exception. 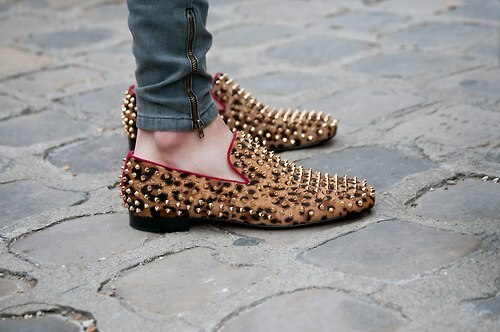 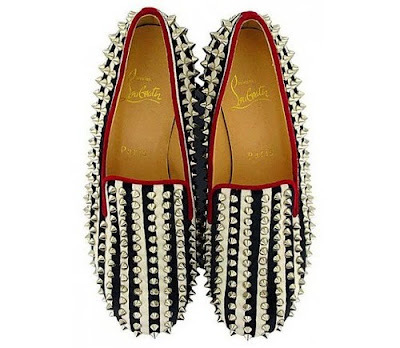 Since, I saw a tiny glimpse of Brad's spiked shoes, I have been in love. 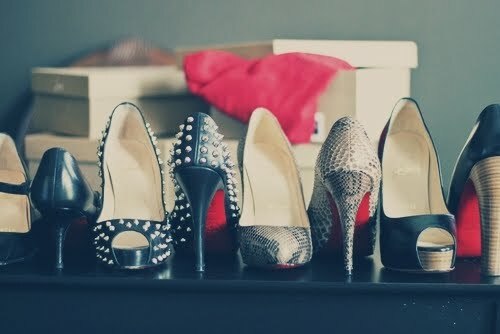 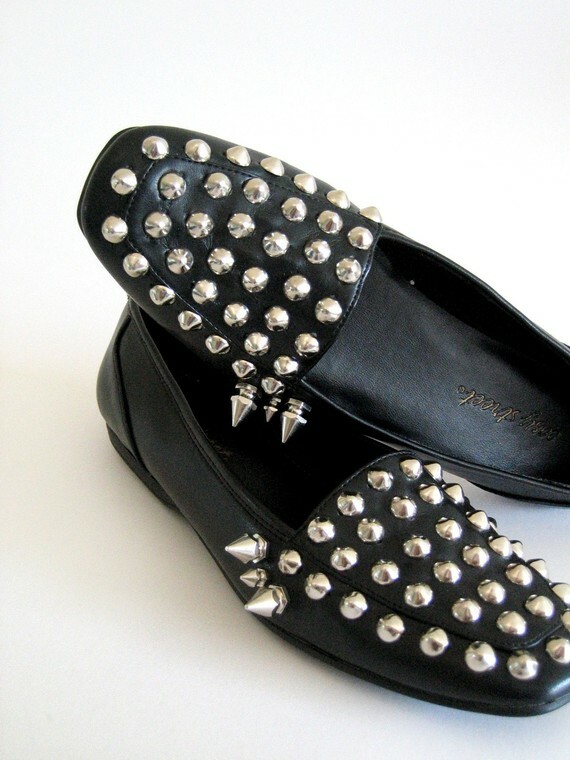 I find myself seeing at least one pair of studded/spiked shoes a day, so it's time to share some of my favorites with you! 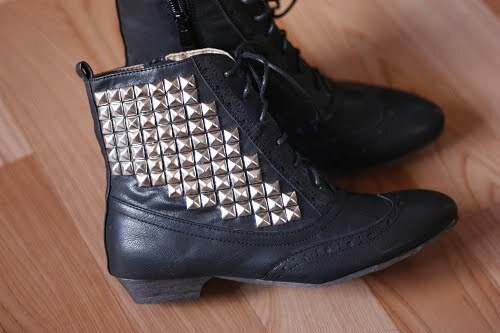 I'm thinking I might have to DIY this look soon with an old pair of sneakers! While searching for studded shoes galore, I came accross an etsy shop, Two String Jane. 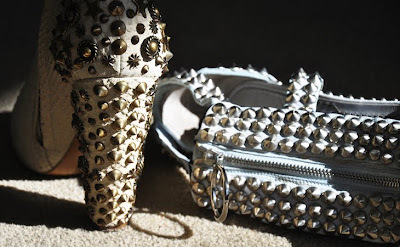 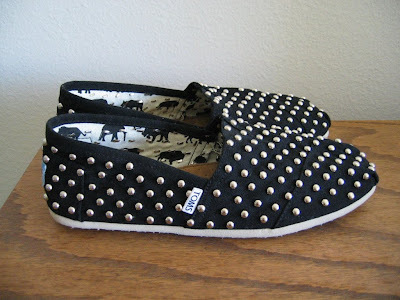 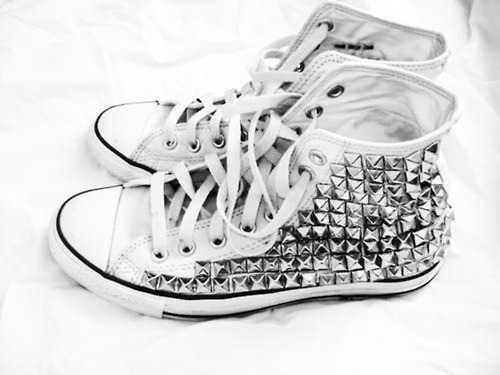 she had some of my favorite studded kicks, so check out her store and website.